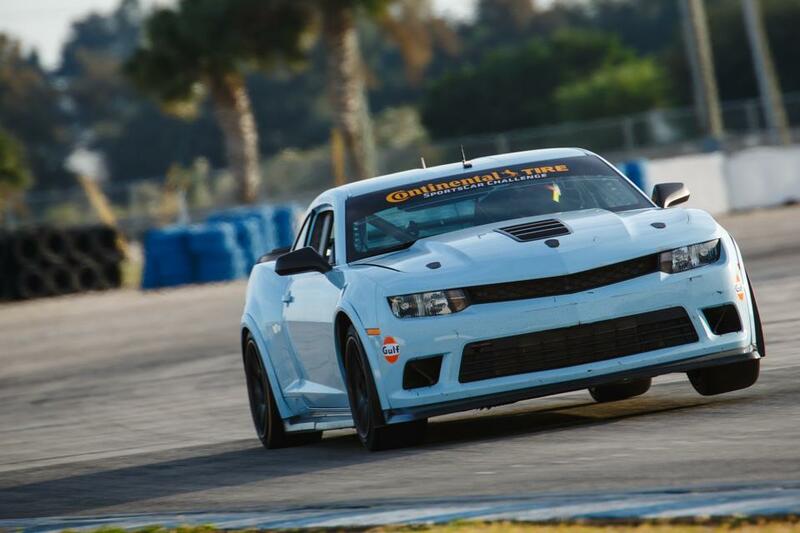 I am pleased to announce that OnPoint will be supporting Mantella Autosport’s assault on the IMSA Continental Tire Sports Car Challenge for 2015. 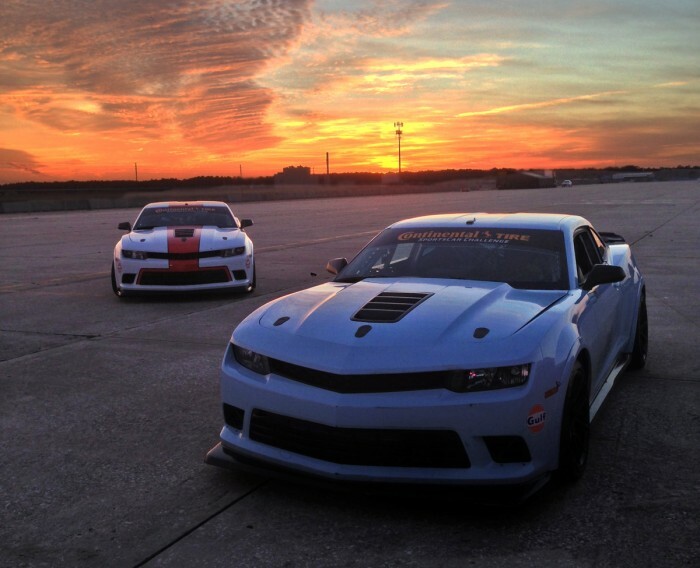 Fresh off of a strong season with an Aston Martin Vantage the team has switched to run two Z28.R Chevy Camaro’s – a car that is a little bit more relevant to the North American car enthusiast. The racecars are powered by 505hp LS7 engines and the chassis and most systems have been engineered by Pratt & Miller – the same engineering and fabrication firm that builds the CTS-V.R and the C7.R. Needless to say these are top flight racecars, a welcome departure from the very OEM based Aston Martin. Sasha Anis from OnPoint will be providing a number of services to the team in 2015 – including Electrical systems design and harnessing, Motec sales and support and Dyno rental and engine tuning. Sasha Anis will also be the Car Chief for the second Mantella Autosport Z28.R, running the car for Martin Barkey of MBRP – one of the most recognizable names in after-market exhaust systems. There is even a chance that Sasha will get back in the car for 2015 in the Chevy for any races that pro Mark Wilkins is unable to attend to due to scheduling conflicts. We have already been hard at work supplying the team with two Motec power distribution modules for the rear of the car. 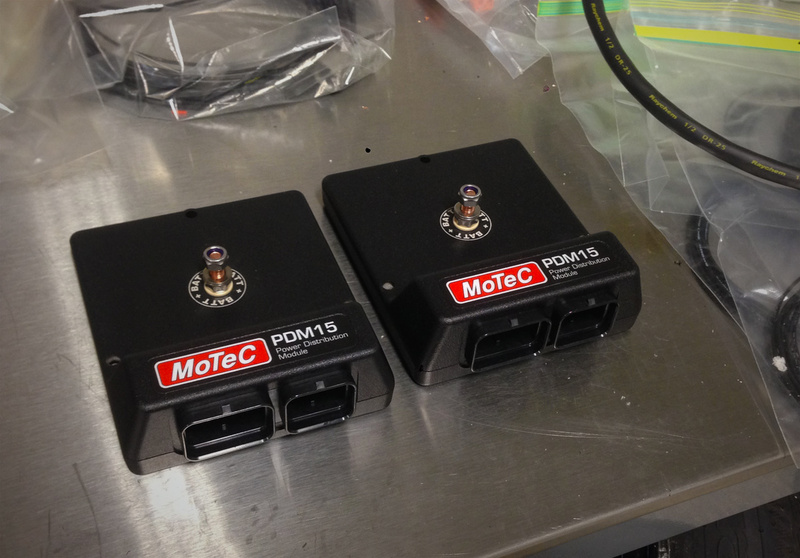 We supplied the PDMs and designed and built harnesses for both cars, reprogrammed both the existing front PDM30 and new PDM15 to be friendly. 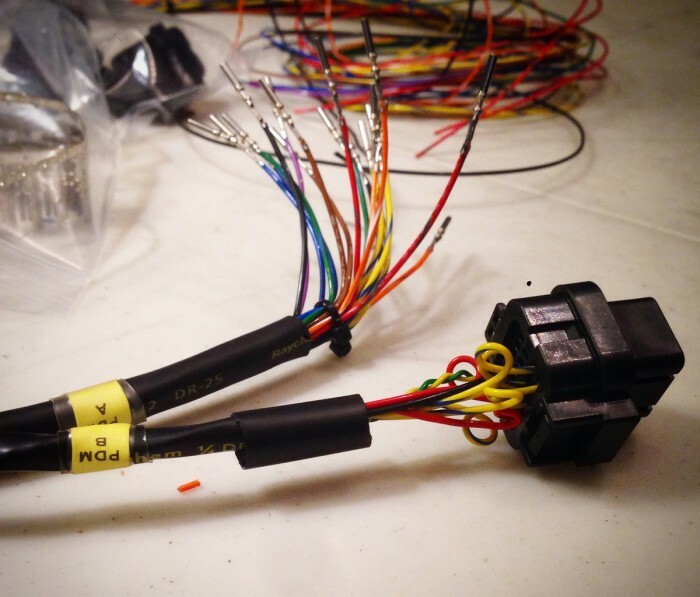 We then converted all electrical systems on the car that were conventionally controlled with relays and switches to PDM control, and automated a number of functions along the way. After just returning from a test at Sebring Int’l Raceway I am proud to say the systems are working as designed. The team had the idea of testing both cars on the dyno after every race event to evaluate engine degradation and this idea has already proven its value – one of the cars has lost approximately 3% power since before our Sebring test. The guys at Mantella Autosport are among the best in the business and we are extremely excited to be working with them for 2015. If you have a moment please check out Mantella Autosport’s Facebook page and Instagram account and follow the all-Canadian team, and learn more about the team and sponsors. You can follow the series at IMSA.com – the races will be televised live on IMSA’s website and later on Fox Sports. If you are local to one of the races I highly suggest coming out to watch, they are often the most exciting races on the given race weekend.